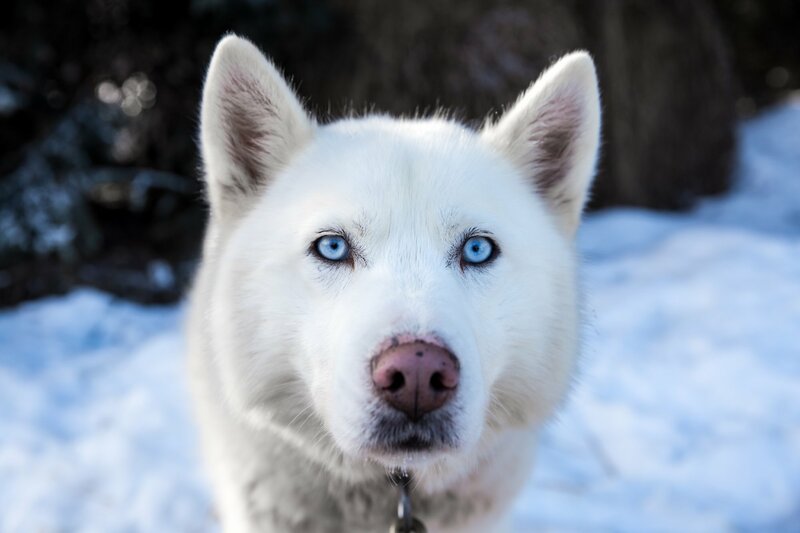 Dog sledding had been on my bucket list for far to long and I finally had the opportunity to check that off the list with Golden Dog Sled Adventures. The small two-sled company, run by 3 siblings is located just 25 minutes outside of the town of Golden. There are 16 dogs on the property, majority of which have been rescued by the owners themselves, and some of the happiest dogs I have ever met. I wasn’t exactly sure what to expect, I just knew I was super excited about hanging out with a bunch of huskies for a whole afternoon. When we arrived on site the dogs were jumping up and down, full of energy and so happy to see us. We were able to interact with them before we took off and helped the owners harness them up and get them ready for the ride. It was a chilly -20C the day we had went out, though nothing that a few layers of clothing, good boots and warm blankets in the sled couldn’t fix. The trails we were taken through were gorgeous, with views of the mountains, river and through the thick forest. I was given the opportunity to be a ‘musher’ behind the sled, while my guide took his turn inside the ‘basket’. They had me directing them, calling out different directions and managing the breaks. 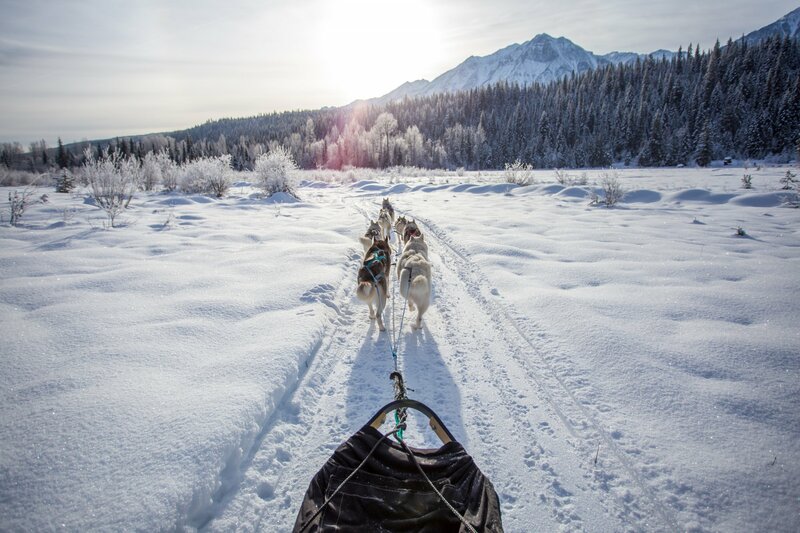 Having them listen to me and controlling the sled was a great experience and surely produced a ton of laughs, as those dogs are quite fit and strong, meaning they can get pulling fast! We finished up the afternoon with hot chocolate and treats by the fire inside their cozy office to warm up after the ride. 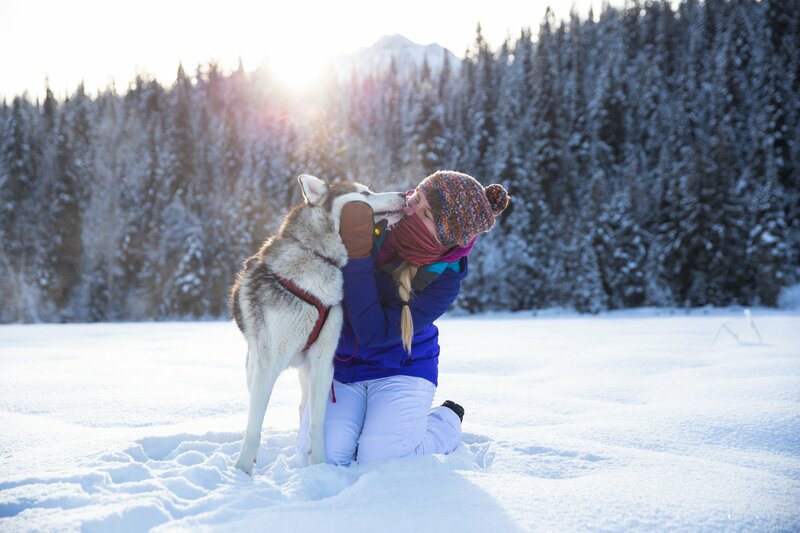 Dogsledding is the perfect way to spend an afternoon out in the Rockies, whether it be with a friend, or out with the whole family. I am thrilled to have checked that off my bucket list in 2015. Happy huskies, wonderful, passionate owners, a welcoming atmosphere, unreal mountain views, what more can a person ask for? A memory I won’t soon forget. Brooke was born and raised in Red Deer, AB, Canada, currently living in Canmore, a small mountain town in the Rocky Mountains. She has a thirsty heart for adventure and travel, and is outside as often as can be, getting dirty, exploring and socializing. If you are ever in Golden over the Alberta Family Day weekend (February 13-15, 2016) you are definitely in luck. Skiing is great, but here’s a few other ways to have fun in spring. Golden, British Columbia, has long been one of my favourite winter destinations.